perfect solution within your budget. Keep your house and your family warm and comfortable during the unforgiving winters in Wisconsin and Minnesota. 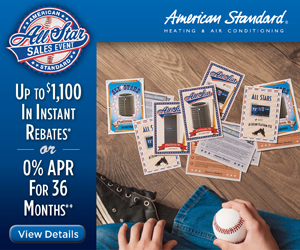 Don’t sweat the hot and humid days of summer this year when you have a dependable, first-class air conditioning system. Geothermal systems are one of the most efficient and quietest heating and cooling options available. Richter Heating & Cooling has been providing customers in western Wisconsin and northern St. Paul, Minnesota with heating and cooling services for more than 15 years. We take pride in being a family owned company that operates on Christian business principles. We purposely stay small so we can operate from a shop located at our home. This gives us a large advantage over our competitors and allows us to offer the highest quality equipment (American Standard) at lower prices than our competitors entry level equipment. Our success is not measured by the amount of profit we can generate but rather by treating our customers exactly the way we would like to be treated. 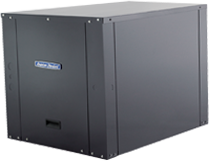 When we look at a heating and cooling project, we treat each home like it would be our own and try to offer the best solution based on the customers needs. 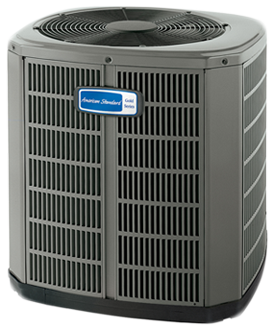 We realize you have many choices when it comes to finding a professional heating and cooling company. 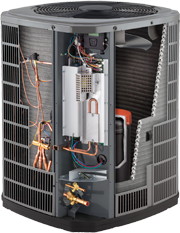 At Richter Heating & Cooling, our goal has always been to offer our customers top of the line products at the most competitive pricing. After we install your new equipment, you can depend on us to provide continuous service support to ensure everything operates with high performance. Call us today for a whole house energy assessment and let us show you how we can help you reduce your monthly gas and electric bills. Check out our new video playing at local theaters.